The Fall: Teaching notes filled with insights into the inspiration, personal stories and filmic imagery in the novel. Activities around key themes including resilience, rites of passage, family relationships and dealing with difficult emotions. Worksheets to help students with story structure and creating narrative drive in their writing. Two Wolves: Comprehensive teaching notes for this tense middle-grade novel (age 10-14) exploring morality, self-perception, the power of Nature and the slipperiness of truth. Curriculum Areas: Literacy, Critical and Creative Thinking, Ethical Understanding. On the Run (US edition of Two Wolves): Comprehensive teaching notes for this tense middle-grade novel (age 10-14) exploring morality, self-perception, the power of Nature and the slipperiness of truth. Curriculum Areas: Literacy, Critical and Creative Thinking, Ethical Understanding. Tom Weekly series: These teaching notes are packed with fun, engaging creative writing ideas for the classroom. They give insight into the writing of a story in the first book in the series, My Life & Other Stuff I Made Up and a storystarter for students to create their own work. They’re formatted, designed and illustrated for activities to be projected directly onto the smartboard. Mac Slater, Coolhunter series: These notes and activities look at issues relating to consumerism, creativity, individuality, environmental awareness. Galactic Adventures: First Kids in Space: Space travel, web 2.0, space science, book trailers and don’t forget the non-fiction section and quiz at the back of the book. Change the World in Five Minutes Every Day at School: The notes for this world-changing SBS series contain fun and inspiring ideas for delivering lessons on community action, environmental issues and how students can make their own films on issues that they care about. You can watch the film here. 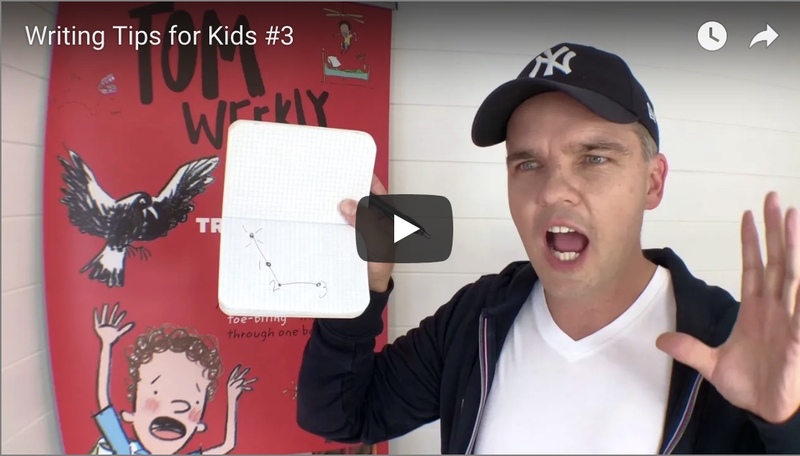 Check out my series of free 1-2 minute Writing Tips videos for the classroom or the keen kid writer. One of the most enjoyable parts of my job is speaking about storytelling and creativity. 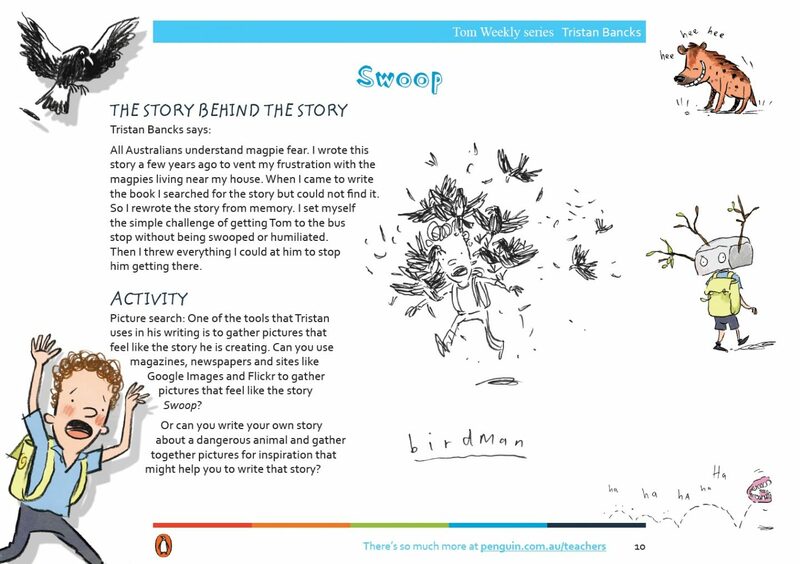 I run workshops and talks about my books at festivals, conferences and schools in Australia and around the world, hopefully inspiring kids, teens and adults to read and create. To check my availability for Queensland-based school / library talks and workshops you can email Sandie at Speakers Ink. My Speakers Ink page is here. 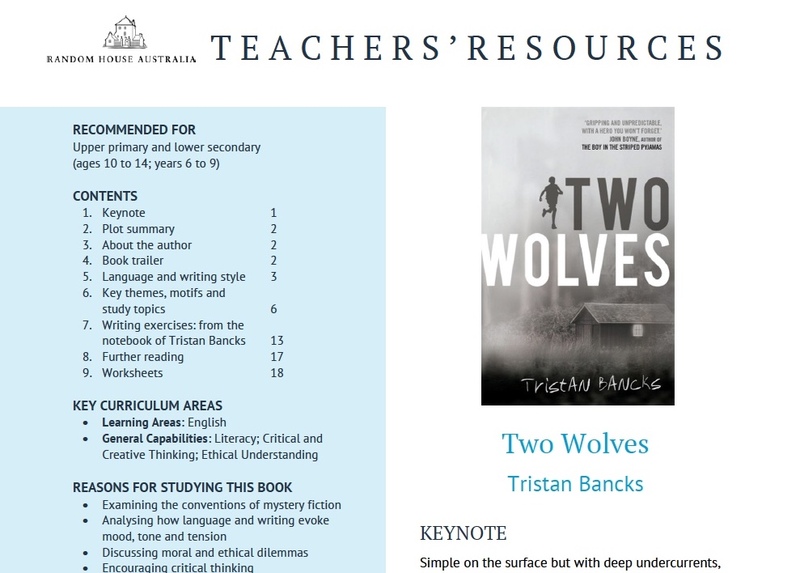 For information and availability on Sydney and Melbourne-based school / library talks and workshops, you are best emailing Booked Out or see my Booked Out page here. For information and availability on other interstate and international school / library talks and workshops, you are best emailing me here. I worked with Tristan at the Bardon Young Writers Workshop. He was inspirational, exciting and engaging. 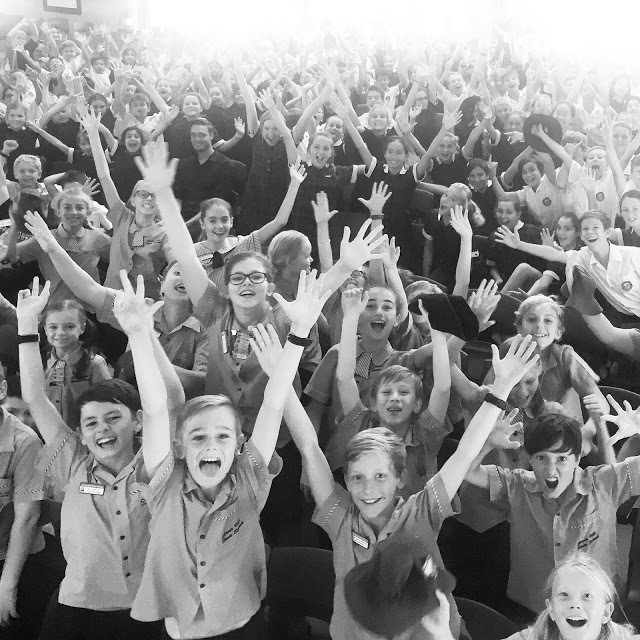 It was a memorable and productive week for our upper primary students from numerous schools. Tristan shared lots of quality writing tips. I thoroughly enjoyed the experience! Thanks Sandra. Much appreciated. I had a great week. It's so well organised and a brilliant bunch of young writers. Looking forward to doing it again next year. Hope all is well in the world for you. T.
We thoroughly enjoyed Tristan's talk to our students in years 3-6 today. The students heard lots of inspirational tips to assist them on their own writing journey. It was an engaging worthwhile educational experience for our students and would highly recommend Tristan as a speaker. We have many students who can't wait to read "Two Wolves"
Thanks Mary Anne. So good to hear. I'm glad they're into 'Two Wolves'. Would love to hear the reviews once they've read it. 😉 Thanks for taking the time to leave a comment.